Avi Agri Business Limited (AABL) was incorporated in the year 2009 and commenced its manufacturing operations in 2010. 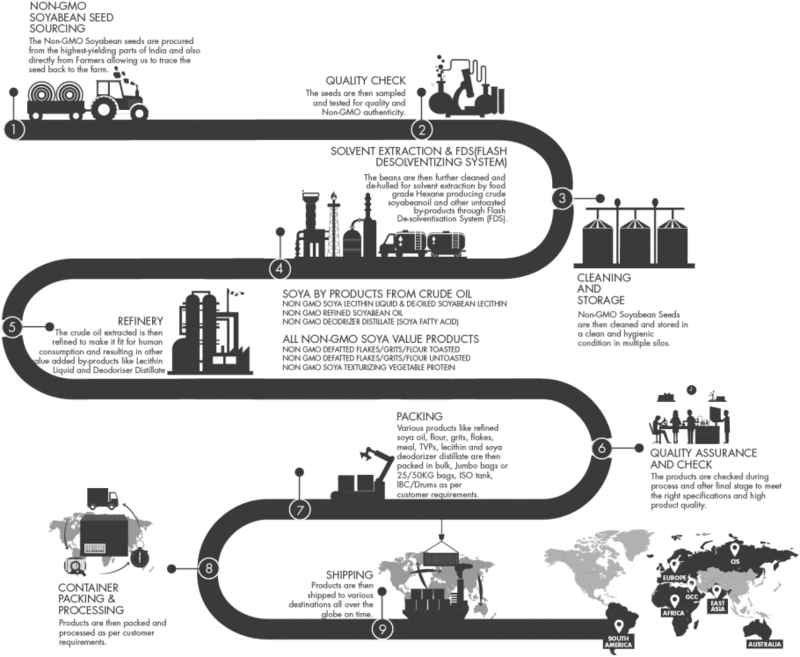 The company is a world-class player in carrying out solvent extraction activities with its manufacturing unit located at the source i.e. Central India, Indore, India. From the year 2012, the total seed crushing capacity is 1400 MT per day and total refining capacity is 300 MT per day. Avi Agri-Business Limited has the right blend of the latest technology and a nurturing environment. The company owns a wide range of productions and processing facilities that are mention below to produce a cost-effective product without compromising the quality. The company never falls back in production and quality standards and in delivering the promised product quality, AABL is equipped with round the clock in-house laboratory with PCR and Microbiological facility that uses latest testing equipment and facilities to unleash the best product quality and to meet predetermined food standards. Avi Agri Business Limited has the largest capacity FDS (Flash De-Solventizing) and De-Oiled Lecithin plant in India. The company values are driven by innovations and efforts to become the best in the field of producing Food Grade Non-GMO Soya Value added products. In the quest of becoming the top international manufacturer and trader of Agri commodities, the company has set up a unique manufacturing plant with premium technology and machinery for producing Soya Lecithin Powder. Further, the company is into manufacturing Soya crude oil, Soybean Meal (Hipro & FAQ), food-grade Refined Soya Oil in bulk and in consumer pack, De-Oiled, and Liquid Lecithin, Texturized Vegetable Proteins (Soya Chunks, Soya Mini Chunks, Soya Granules) and Soya four/grits products catering the needs of customers all around the world. Cert-ID Non-GMO standard for Traceability and Identity Preservation. Shri Mahendra is a Mech. Engg. He has wide experience in solvent extraction industry at various levels. 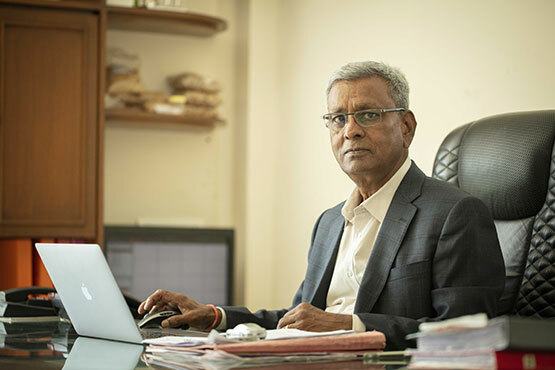 He started working with Mansingka group of companies from 1979 to 1987 at their plants situated at Pachora (MS), Amravati (MS) and Maksi (M.P.). During this period in 1983, he set up first 600 TPD solvent extraction plant with technical know-how from CMB Italy and 75 TPD edible oil refinery at Maksi, Distt. Shajapur (M.P.) for Tri-Star Soya Products Ltd. From 1987 to 1992 he worked with Vegepro Foods and Feeds Ltd. at Orai (U.P.) a Glaxo promoted the company as General Manager (Projects). He set up 300 TPD Solvent Extraction Plant and 80 TPD edible oil refineries from conception till commissioning and running operations of the said units. He also set up an edible floor manufacturing facility of 120 TPD with know-how from EMI Corporation USA. During 1992 to 2005 he worked with Navcom Industries Ltd. of Nav Maharashtra group at Sholapur (MS) where he set up 300 TPD Solvent Extraction Plant and 100 TPD edible oil refineries from conception till completion and operations thereafter. He held the last position as Executive Director. He is the promoter director of Avi Agri business Ltd. set up in 2009. The company never fall back in production and quality standards and to deliver the promised product quality, AABL has equipped with round the clock in-house laboratory with PCR and Microbiological facility that uses latest testing equipment and facilities to unleash the best product quality and to meet predetermined food standards.